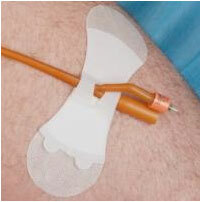 Grip-Lok Adhesive Catheter Holders Now Available To Order Individually! This is huge news! The Grip-Lok large catheter holders that were such a god-send for me during my 6-months with a catheter are now available to order individually. CLICK HERE if you don’t want to hear anymore, but just want 1 or 2 or 3 right now:). For the past few years, getting Grip-Loks has been strangely difficult. At first, I could only get them from the Surgery unit where I had my procedure done. But you can only do that for so long – if at all. My actually Urology clinic didn’t have them. They ONLY had the stretchy fabric types that will NOT hold up a bag if you are walking around. That was a non-starter. So I went directly to the company (Zefon at the time), who would sell them to distributors. These distributors would then only sell you a box of 100 Grip-Loks for like $400! Zefon did agree to sell ME a 10-pack, which for awhile, I sold to readers. But Zefon sold the Grip-Lok product to another company called Tidi. Sigh. It was back to square one. But after working with a supplier/distributor called MedEx, I finally got them to make the product available as singles. Woohoo! They cost $9.95 per Grip-Lok. 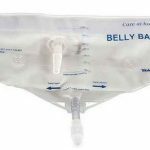 When I was going through my year of the indwelling catheter (I was lucky enough not to need one forever), I used and appreciated the Grip-Lok because it was better than anything else available. But now – in 2017 – there IS something better. And would have used this instead. It’s called the Freedom Belt. How long can you use a one before it needs to be replaced? When I was told I had to have my catheter for 2 weeks more I bought 3 of these and two-day mailed them. They are great! Make sure to shave where you put them and follow the directions. But one has been on for 5 days now, no issues. Awesome! Thanks for the post Charlie. So glad they are helping. It’s great that these are now available in small batches:). Is there somewhere in Australia that I can purchase a freedom belt. Lesley bacon. Hi Lesley. I just sent your question to Dr. Mario and Dr. Justin. I’ll let you know what they tell me. You can order one from their site and they will ship it to you. Here is the website: https://freedombelt.com/. They said they have shipping set up for every country except Nigeria.